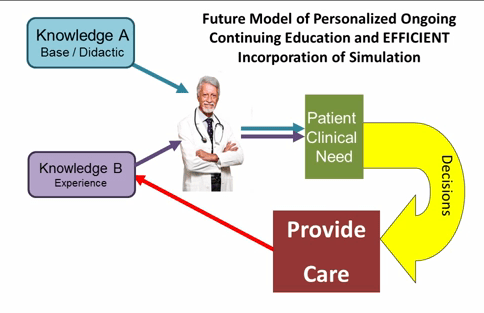 I posted a new video on the WISER You Tube channel describing how simulation can fit into a futuristic model of customizing a pathway of continuing education for practicing healthcare professionals. The model incorporates the utilization of healthcare system quality, safety and risk data. A provocative thought to move us down a road to help imoprove replace the time honored, yet inefficient system of continuing education that exists currently.